We are a team—and we always have been.  ASK Advertising is owned and operated by the husband and wife team of Kimberly and Andrew Stromberg. Since 2004, we have been helping small businesses compete in over-saturated markets by implementing targeted, intentional marketing strategies. The true secret to our success is collaboration. By partnering with our clients and becoming part of their business team, we’re able to develop a marketing plan that’s accessible and works. We offer both digital and print services in-house, and pay careful attention to our clients’ brand consistency. (Okay, we’re obsessed with it.) Call us old-fashioned, but nothing makes our day quite like the details. We thrive on clean, polished, professional work that cuts through the chatter with originality and innovation. Your logo is your visual identity and reflects not only the professionalism of the business, but also helps your audience identify with your brand. Well designed logos and branding guideline kits are essential for conveying a consistent message. We love this stuff. We build modern websites on WordPress frameworks that look great, are easy to manage, and are responsive to mobile devices. We manage the process from “soup to nuts” so your experience is collaborative and you get great results in the end. From simple to complex, we approach each website with the goal of making our clients’ digital hub dazzle. Our strength and reputation are built on high-end graphic design services that are consistently on-point. We are passionate about making your business look amazing through creative and unique graphic design services. Experience matters, and you’ll find it here. Digital marketing is where the game is played these days, so we focus on delivering cohesive digital marketing strategies through paid search, remarketing, display, email, video and social media networks. Political campaigns have an important need to be consistent with the branding from the logo, the promotional materials, digital properties and print signage from the very beginning. Presenting candidates with polished branding shows they’re serious about the details. Customized profiles on Facebook, Twitter, LinkedIn and other social channels reinforce brand is consistency and build recognition and trust. If you are expanding your network reach we will create a fluid experience that will feel natural and cohesive to your audience. 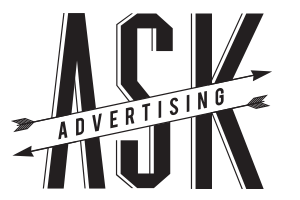 ASK Advertising offers a one-time free, no-obligation consultation to all new clients. Give us a call, drop a line or stop by for a cup of coffee. We’re a short walk from the Vancouver Community Library, located just across the bridge from Portland in the Historic Downtown Vancouver Business District. Andrew brings an eclectic background in marketing and advertising to our clients. He’s geeky on all things digital and is focused on crafting unique creative experiences for our clients. Kimberly has spent her entire professional career as a graphic designer and she’s got Adobe Creative Suite as part of her DNA. It’s safe to say your brand is in solid hands with Kimberly’s leadership. Alisha is a writer who has an amazing knack for crafting the right words to enhance any message. She is a published and award winning author of books for children. Ryan handles photos and video production for client projects. He has a knack for getting people to relax and look their best when in front of the camera. Great photography breathes personality and engagement into many projects. John is a certified Google Adwords and Facebook advertising pro. He organizes and implements online digital marketing campaigns that are smarter than heck. Louie barks at inappropriate times, chases squirrels and seems to have an insatiable appetite for Purina. He’s little, spunky and keeps us all entertained.